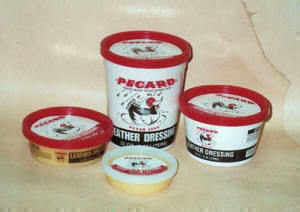 Pecard Dressings and Creams are the best way to care for all of your leather goods. 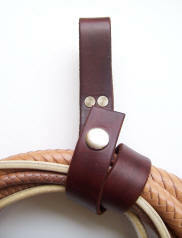 The Leather Dressing is best for the maintenance and preservation of your fine braided leather items. The Leather Cream works well on heavier leather goods or items that have been neglected and need to be restored. Poly-pro poppers produce a good crack and are less prone to tangle than nylon poppers. A good choice for more complicated routines. Available in red. Nylon poppers are very durable and produce a good clean crack.